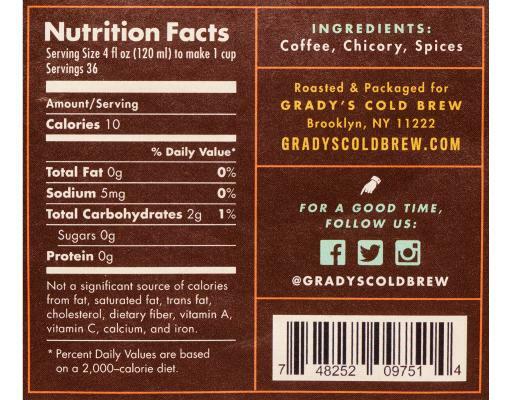 Grady's Cold Brew is a New Orleans–style iced coffee concentrate that's brewed and bottled by hand in Brooklyn, New York. Each batch is made by steeping a special blend of freshly roasted coffee, ground chicory, and spices in water overnight, then extracting the grounds using a two-step filtration process. What's left? 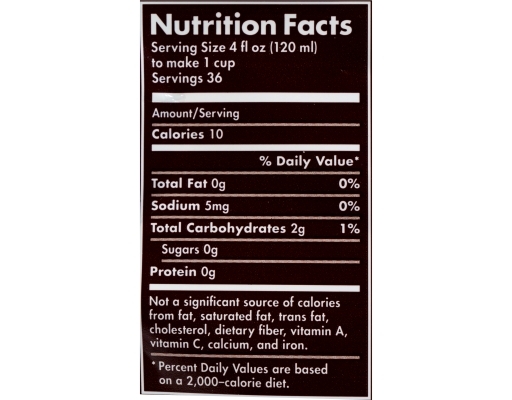 A bold, super-smooth concentrate that can be mixed with milk or cold water and served over ice. Now it's so easy to brew it yourself! If you go too hard on Bourbon St. or Meatpacking, you'll want to have a batch of Grady's Cold Brew steeping in the fridge the next morning. Make Your Own Iced Coffee! 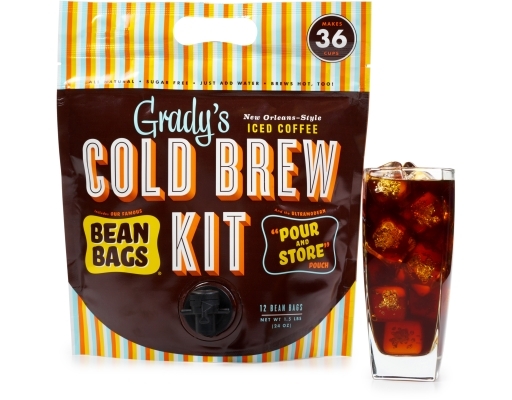 Grady's Cold Brew Bean Bags are a DIY cold brew kit that lets anyone make a week's worth of cold-brewed iced coffee fresh at home. Each bundle contains twelve "bean bags"—literally, bags filled with Grady's famous iced coffee recipe of ground coffee beans, chicory, and spices—that you soak overnight in water and easily dispose of (or compost) the next day. Super-easy. No mess. No special equipment required. 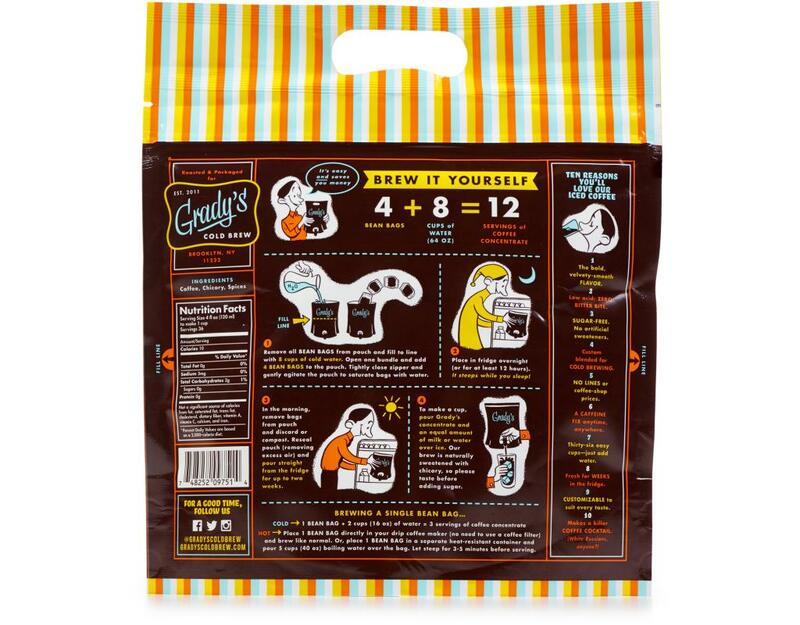 These Bean Bags can be brewed in just about anything—a pitcher, bowl, stainless-steel pot, Tupperware...even a Ziploc bag. 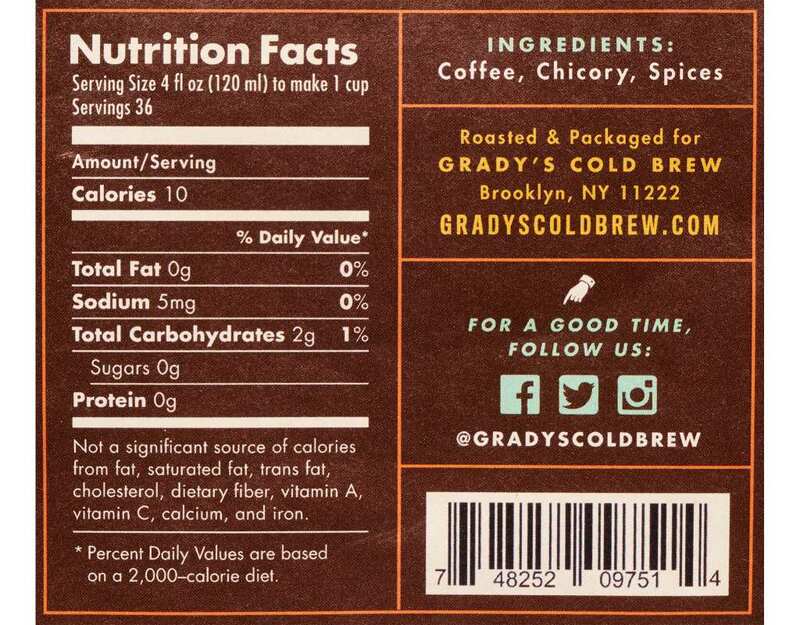 Grady's mission is to convince people one cup at a time that you can (and should!) 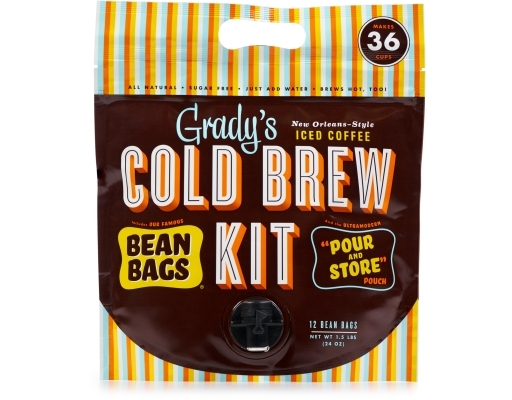 pour gourmet iced coffee from the comfort of home. 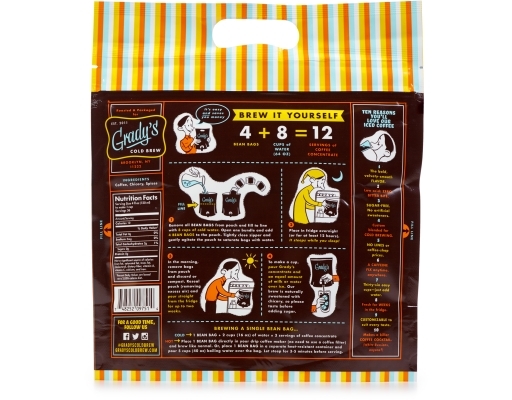 Grady's puts quality back in your hands--you choose when to make it and how you take it...every time. You brew you.